Week Two: What's In Your Tool Box? 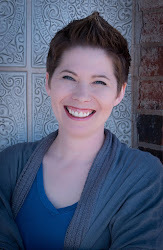 Week Three: Be a Super Model! Today we're talking about choices. If you grew up in a home like mine, you probably didn't get many choices. Kids were expected to just do as their parents told them, no other options. 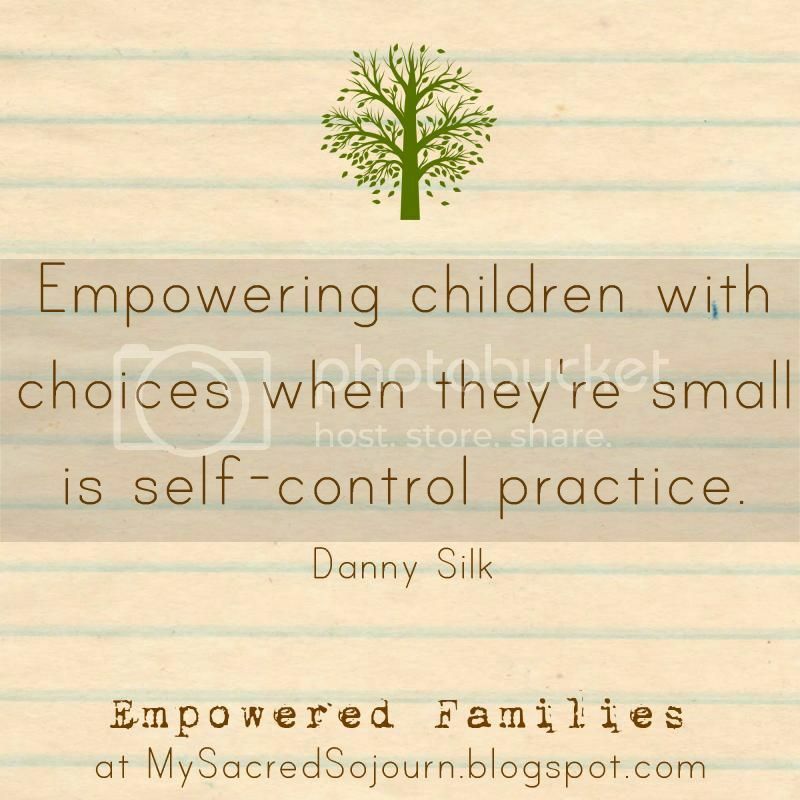 And while I definitely believe it's important for children to learn to respect authority, I also believe that choices are extremely important for their development. As an adult, we're faced with 1000s of choices everyday. We get up and have to decide what to wear, how to fix our hair, whether to eat breakfast at home or grab something through the drive-through. We also have to make more life-altering decisions. Will we put that TV on the credit card or wait until we can pay cash? Will we quit something (school, job, relationship, etc.) because it got too hard or will we invest more to make it work? The choices seem endless and we have to make decisions, sometimes instantly, about what we'll do. The first time I saw this tweet, I gasped. There's so much truth in this. That's why it's vitally important to give our kids as many choices as we can. They will grow up and face a world of choices, a world of freedom. How will they know how to deal with that much freedom if they haven't had practice? We want our children to grow up to be responsible adults, but that won't happen if they can't practice responsibility now. Would you like to brush your teeth or read a story first? Do you want to brush teeth in the bathroom or at the kitchen sink? Do you want to wear your blue or red pajamas? Do you want to walk or get a piggy back ride to your room? Would you like to read Green Eggs and Ham or Curious George? Do you want to sleep in your bed or on the floor? Would you like a night light on or no nightlight? That's a lot of decision-making practice in a short amount of time! If you aren't used to offering choices, it can seem overwhelming, but I promise, the more you practice, the easier it gets. Get in the habit of asking yourself, "Can I offer a choice here?" Here are just a few of the ways we offer choices. Snack time: Do you want crackers or a cheese stick? Apple juice or water? Sit at the table or have a picnic on the floor? Meals: Do you want to sit by Mom or Dad? Do you want to put out the napkins or the place mats? Red or yellow cup? Round or square plate? Clothing: This is HUGE! I let my kids choose their own clothing. Sometimes it can be frustrating if they're not making a decision, but I try to remember that they're practicing self-control (and learning natural consequences!) It may help to have them do this the night before, instead of in the morning when families are normally rushed. And if this bothers you, ask yourself why. Is it because you worry about what people will think if your child chooses a crazy outfit? Is that a good enough reason to deny them this choice? When they're young, these choices don't have long-term consequences. Your child will not experience life-long regret from choosing the blue pajamas, and won't catch cold from sleeping on the floor one night (though they might realize how uncomfortable it is and choose differently next time!) But the more practice they get making choices, the easier it gets for them to make quick decisions, to get to know themselves and what they really want and to start thinking more in depth about how those choices will affect the outcomes. And hopefully, when they are old enough to make decisions that will affect them for years to come (building relationships, managing finances, etc.) they will have practiced enough to make wise choices. So, what about you? 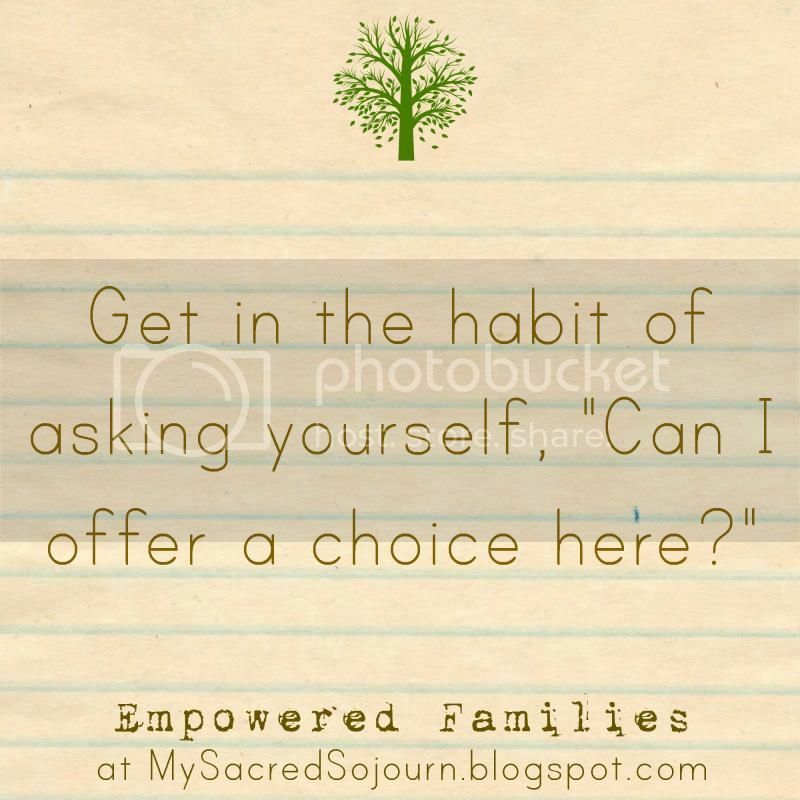 How do you handle choices in your household? Is there an area you want to work on this week?